Call 775-234-9900 to reach the front office. Lovely getaway! Wonderful people and I love the space! I recommend this destination to anyone willing to drive here! Great Basin National Park is so close and gorgeous! 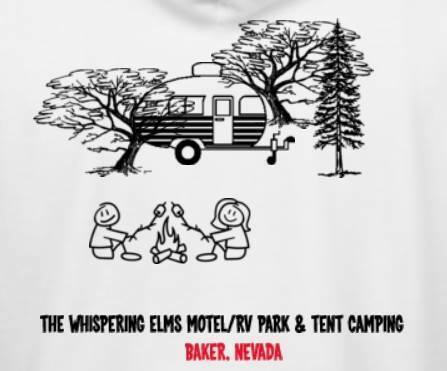 Awesome and affordable spot right near Great Basin National Park with a cool bar to get together with people and make new friends. The manager was super nice and goes out of his way to make sure your stay is a good one. I will stay again if I I'm ever in the area again, which I hope to be because it is so beautiful. We have stayed at this motel quite a few times when we are traveling through, rooms are always clean and the staff is amazing! Old but nice. Friendly staff. Very close to the park. I would stay again. Great location, right outside of the national park. The little bar was fun. The rooms were comfortable and very clean. This stay surprised us with how comfortable a small motel could be. Also, I enjoyed the soap that was provided, it didn't stink like most hotel/motel soap. Thanks! Wonderful place, well kept, and the hosts are as friendly as they come. Camping or rooms, showers and outdoor recreation to boot. The adjacent bar is nice and serves waaay better than the border does. Please stop in, you won't be disappointed! We had the best experience here! Very reasonable price and so accommodating. Owners and locals made our experience one we won't forget! Thanks so much guys. I love Whispering Elms it's a fun family friendly place. All yr round love the bar too they make pretty awesome drinks, They have fun luaus from time to time horseshoe tournaments and more. A nice quiet getaway for the family.